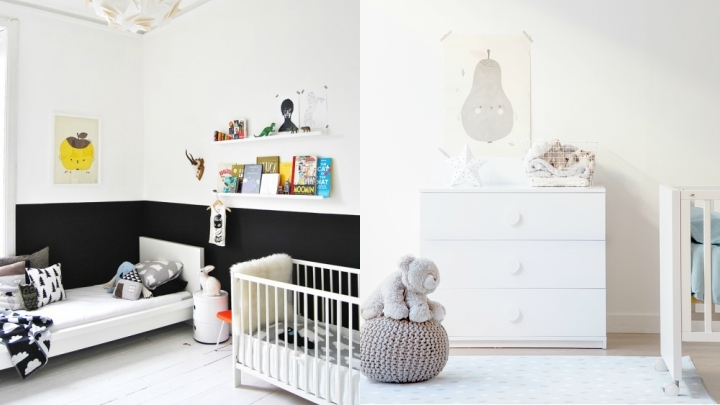 The Scandinavian style is ideal for baby’s room. The use of light colors, luminosity, natural materials … all the keys of this type of decoration applied to this room make possible the creation of a cozy, very warm and comfortable, the ideal setting for our baby to live. 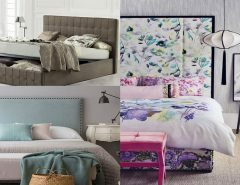 So today I want to show you some thoughts to decorate your bedroom thus making it a very bright place, using soft tones and very special decorative elements. Natural materials are the most appropriate in this type of decoration. Opting for wood flooring and furniture, if a color clarito much better. If you place the wooden floor and the white walls, for example, you can add color to the cushions, sheets or clothes of the crib. The Scandinavian style bets on simple furniture, without great stridency. Therefore, the crib should be so, usually white, with simple lines and straight. You can place a chest of drawers or an exchange, of wood in light tones, and it will not be necessary much more. With some decorative elements that can serve as storage (wicker baskets, wooden boxes …) and that complement this furniture will be more than enough.